James Wheeler, Douglas Duff Jr., Killed in Possible Street Race on Floyd Road; Justice Available to Families? James Wheeler, Douglas Duff Jr., Innocent Victims Killed in Possible Street Race. 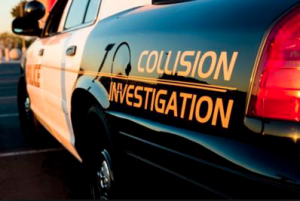 A motor vehicle accident involving two vehicles tragically claimed the life of two fathers Sunday, April 7, 2019. The collision is still under investigation according to media reports. As the details of this tragedy continue to develop, the families of James Wheeler and Douglas Duff Jr. may elect to seek justice and pursue a civil claim for their loss. Based upon its extensive experience and success handling these types of motor vehicle claims in Georgia, The Murray Law Firm suggests that the families of James Wheeler and Douglas Duff Jr. should retain an experienced personal injury firm to protect their interests and ensure an unbiased investigation. Photographs of the roadways and vehicles involved and a review of surveillance footage from nearby businesses or properties, if any exists, will need to be performed immediately before any evidence is damaged or destroyed.